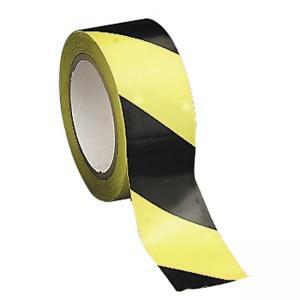 Marking/hazard tape directs employees and visitors safely through work areas. Highly visible colors call attention to hazardous machinery, work areas, walkways or stairs. Adhesive-backed tape lies evenly on straight lines or curves.